could arise on the day. Every attempt is made to keep to course timings. Weekdays $895.00 per group of 10 people. Weekends $985 per group of 10 people. Anywhere in NSW where there are navigatable waterways we can provide personalised training for those wanting a private group session to obtain their Boat or PWC licence on a one day course. Led by qualified maritime and NSW RMS approved trainers, bring along your family, friends, co-workers, club members or school pupils to a location and on a day of your choice. The training can be delivered face-to-face, or with a combination of online study and a revision/test and on-water practical session. NSW Boat Licence, test and practical one day course. 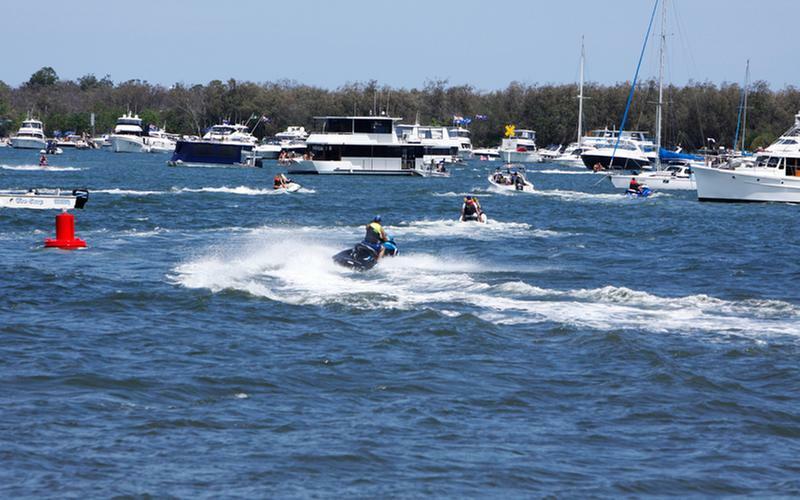 NSW Boat and PWC Licence, tests and boat practical combined one day course. Prices can vary from client-to-client, depending on the location, numbers participating and whether you have your own vessel or wish to use a College vessel for practical training. Contact us for more information You are not obliged to purchase and your personal information will be kept confidential. If you have any questions you can email, call us on 1300 723 112 or submit a request using the online enquiry form. Need more training information? Arrange for one of our experienced crew to contact you for a chat.